The Reward of Courage: Miss Keene, the nurse at Dr. Dale’s clinic, examines Anna Flint. 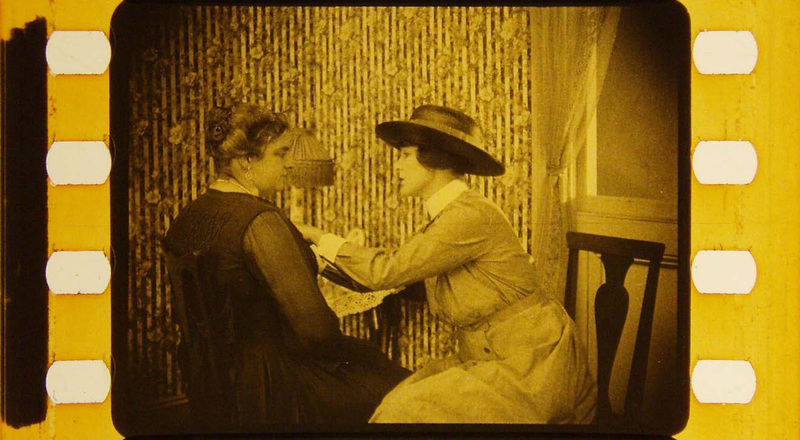 This is probably the first cinematic representation of a breast examination for cancer. Produced in 1921 by the American Society for the Control of Cancer (the ASCC, later renamed the American Cancer Society), and funded by a grant from the Rockefeller Foundation, The Reward of Courage was made by the Eastern Film Corporation of Providence, Rhode Island, an important early silent-era film studio. It was intended to play a major role in the ASCC’s “Cancer Week,” which was modeled on the American Public Health Association’s innovative “Health Week,” and was shown all over the United States and abroad. A melodrama in the grand silent-era tradition, the film pits charlatans who promise cures through the use of quack salves and pastes against the forces of scientific medicine and the U.S. postal authorities, who crack down on such fraudulent and dangerous claims. This battle of good versus evil unfolds against a tender love story: the coming together of two young lovers is threatened by the mistaken belief that cancer is an inheritable disease and would afflict the offspring of their union. (In fact we now know that a predisposition to get certain forms of cancer can be inherited, but no reliable research on this had been done in the early twentieth century.) The film calls for the establishment of clinics in industrial workplaces, to promote worker health and higher productivity, and provides what is likely the first representation in film of a breast examination for cancer. The Reward of Courage: Hidden behind a curtain, Morris Maxwell overhears a conversation about Anna’s cancer diagnosis before offering Anna a painless ‘cure’ for the disease for $200.00—his Radiumized Paste. Long believed to be lost, The Reward of Courage was rediscovered in 2006 by David Cantor, PhD, in the film collections of the Library of Congress. Cooperation between NLM and Library of Congress staff enabled the film’s restoration and transfer from its unstable nitrate base. 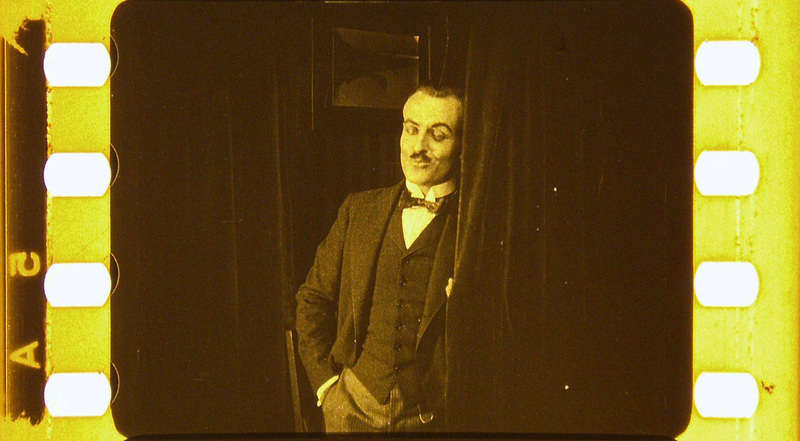 The NLM subsequently commissioned a musical sound track for the film—following the traditional silent-film practice of screening films with live musical accompaniment. The restored film had a premiere at the National Academy of Sciences in the fall of 2011, with the composer Maurice Saylor leading a musical group playing the score he composed. More information about The Reward of Courage can be found on the NLM’s new Medical Movies on the Web site, a curated portal that features selected motion pictures from the world-renowned collection of the National Library of Medicine. You can watch both the original silent version and the newly scored version of the film on NLM’s YouTube channel. Currently, Medical Movies on the Web features three other curated films alongside The Reward of Courage: Combat Fatigue Irritability (1945; starring Gene Kelly), Reconnaissance for Yellow Fever in the Nuba Mountains, Southern Sudan (1954), and Filariasis in British Guiana (1963).